Sergio Marchionne -- who has been a heavy smoker -- is in his final year as CEO of the company. On July 5, Lettera 43 reported that Marchionne underwent surgery in Switzerland. The Lettera 43 story quoted an FCA spokesman saying the surgery was on Marchionne's right shoulder and that "he was in recovery phase," adding that "a short period of [convalescence] is expected." Marchionne -- who has been a heavy smoker -- is in his final year as CEO of the company, having joined a then-struggling Fiat in June 2004. His successor has not yet been named publicly, though Marchionne has repeatedly insisted that he (no women were considered, he said) would come from the company's internal executive ranks. His quarterly conference calls are widely followed for his frequent candid -- and sometimes pointed -- responses to questions from analysts around the globe and for his habit of regularly making news about FCA's future plans. Marchionne's latest known public appearance was in Rome on June 26, when he delivered a Jeep Wrangler to the Italian Carabinieri (the Italian equivalent of the U.S. Military Police). 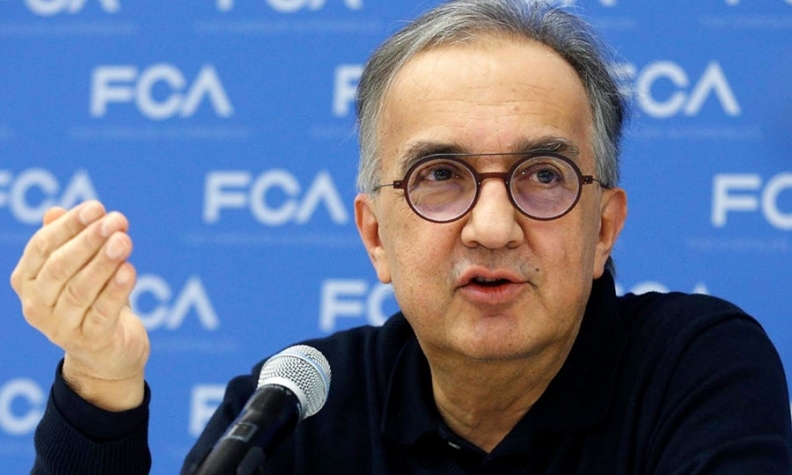 In a statement earlier today responding to other Italian media, FCA admitted that Marchionne had recently underwent surgery, but shot down a story on his possible replacement. “As the Company has stated on more than one occasion, such appointment will take place at the appropriate time and the successor, to be promoted from within, will be chosen based on a rigorous decision-making process initiated some time ago,” FCA’s statement read. A spokeswoman for FCA US declined to comment further. According to the Financial Industry Regulatory Authority, publicly traded companies are not required to disclose to the public if their top executives have serious illnesses. However, FCA, in its annual SEC filings, regularly cites Marchionne’s continued health as vital to the company’s long-term prospects.